You can do this any way you like, so long as it's effective. Planning to manage risk helps avoid injury and illness and has two purposes. Systematically identifying things from the work that you do on your dairy farm that can cause ill-health and injury to people, and determining how those things can be eliminated or minimised. Making sure farm staff and other people working or living on farm are involved in identifying and managing risks. Click the sidebar link to read about worker engagement and participation. Making sure employees and visitors to the workplace are well-informed about the risks they might face while on site, and are adequately prepared to manage those risks. Consulting with staff and family if you are planning changes that could affect health and safety. Identifying risks on the farm is about working out what has the potential to hurt people or make them unwell. To identify the risks to people on the farm, there are a number of different ways of making sure you have covered most possibilities. For each activity think about what could cause you harm or ill-health as a result of doing that activity. Some of these things will be seasonal like calving, spraying or working with bulls. For factsheets click here. Like tools, machinery, quads, tractors, two wheelers etc. For each piece of equipment, think about what could happen when using the equipment that might cause you harm or illness. Again, think about accidents you have had. For factsheets click here. Like yards, gates, sheds, bridges, streams and ditches, hills, power lines, bush, forest, tracks, races and the effluent pond. Is there anything that could happen because of those features that isn’t covered by the other thinking you have done? We have a table of risks to start you off. It shows some of the common hazards and health risks or injuries. One of the most common injuries on farm is from manual handling and there are often injuries from working with animals. But you also need to think beyond this list about the dangers on your farm. Remember that this isn’t just about getting injured. Think broadly about what other harm can happen, such as diseases that can be caught from animals (like leptospirosis), or hearing damage from exposure to noise, or lung damage from chemicals, dust or fumes. There are lots of systems you can use to identify risks. For a paper-based version, see our example of a risk register and try our risk register form in our resources section. There is a free online system on the Safer Farms website called My Farm. Tip: You don’t need to spend time identifying and analysing every possible risk on farm. You should focus on those that could result in injuries or ill-health. You need to do what is reasonably practicable. Once you've spent time identifying risks, go through them and think about what you can do to prevent the chance of injury and ill-health. The greater the potential harm, the more you should do to manage the risk. So, the risks you need to pay special attention to are those that are likely to occur frequently and result in injuries or ill-health, or those that are not so frequent but could have a major effect (like death or serious injury). A risk rating table is a good way to assess the risk posed by each hazard, click here for a template. Go through each of the risks you have identified and think about what you can do to prevent the chance of injury and ill-health. Can we eliminate this risk? If it is reasonably practicable you must do so. If we can’t eliminate the risk, how can we effectively minimise risk to people? Do I need to provide protective (safety) gear? Businesses must always consider first whether they can reasonably eliminate risks. If not, they must take reasonably practicable steps to minimise risks under health and safety laws. But what does this mean for the farm? Reasonably practicable means “what is reasonably able to be done in the circumstances”. 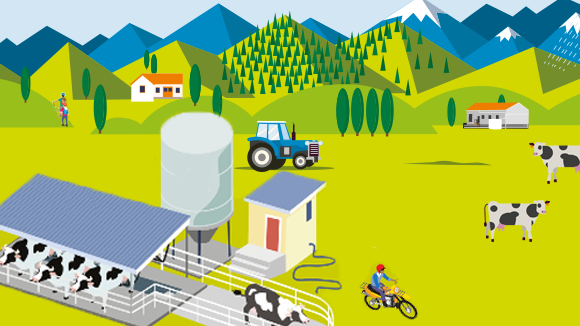 determine what kind of risks are caused by your farm work. consider how likely those risks are to occur and what harm could result if they did. take appropriate action that is proportionate to the injury or ill-health that could occur. implement well-known and effective industry practices. do everything humanly possible to prevent accidents. buy the most expensive equipment on the market. This is about taking responsibility for what you can control. Overall, it means that you MUST do what was at the time reasonably able to be done by taking into account the likelihood and severity of harm, what people should reasonably know about, and the availability, suitability, and cost of ways to eliminate or minimise the risk. If cost is to be considered, the test should be whether the cost is ‘grossly disproportionate’ to the risk. has a health and safety system in place for the work they are carrying out so that you are confident they can carry out the required work in a safe and healthy manner. understands where the dangers and risks are in the areas of the farm where they will be working. has machinery and equipment that is regularly maintained to reduce risk of injury. Telling people about risks is an important part of risk management. By thinking through the ways of managing the risks, you have done a big chunk of the work. To make sure all that work isn’t wasted, it needs to become part of everyday activity on farm. Who else needs to know about this risk and how to control it? Think about farm staff, families on the farm, contractors and visitors to the farm. What is the best way to tell them? It could be by text, on the whiteboard, in the farm rules, on a sign, on the farm map, by email, in person, via an app or something else? If you want to electronically communicate the hazards on your farm to your contractors, here is an example of an email. Tip: A written record (like a risk register) can be a good way of making sure communication is the same for everyone and it proves that you have systematically identified and planned to manage risk on your farm. Risk management is only effective if it is up to date. Make sure this happens by regularly talking about risks and making sure new ones are noted. Sometimes there are sudden changes (like new equipment or tomos opening up) and there needs to be a system for new risks to be recorded and promptly managed. When we notice a new risk, how do we make sure everyone who needs to know is aware? When should we have a total review of our risk register so we are completely up-to-date? Who should be involved? It’s a good idea to do a regular farm inspection, specifically looking for new risks on the farm and checking that known risks are still being well managed. This could be a weekly farm walk or part of your regular team meeting. It’s good practice to regularly review the farm incident/near-miss reports. Have a look over the reports to see if you can spot any issues or trends. For example, if there have been a number of close calls on the stairs of the dairy, go and take a look at them and see if there is a trip hazard or a slip hazard that could be eliminated or minimised. For an incident/near-miss report template click here. 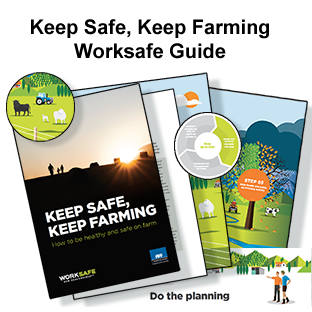 manage your farm risks online, visit the Safer Farms website. see our template risk register. find out more about managing children and young people on the farm. 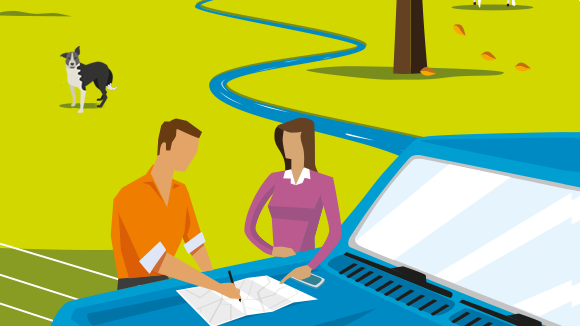 understand how you can engage staff and encourage participation. information about having visitors and events on farm. common questions and answers about dairy farm health and safety.